It’s National Selfie Day! I thought I’d take the opportunity to share some simple tips to take a better selfie. Honestly, the first time that I heard the word “selfie” I thought it was a joke. But since 2012, the word “selfie” grew in popularity more than 17,000% with 93 million selfies taken every day, and over 304 million posts on Instagram alone that use the #selfie hashtag. The folks at YouCam app report that 36% of people use filters and apps to edit their selfies. So, that’s a lot of stats to take the selfie seriously. It was hard for me to grasp since my background as a stylist on photo shoots had me thinking that it was almost impossible to take a pro-looking photo yourself, let alone with your phone. Once I figured it out, it really is simple to become your own best photographer, so much so that I created a step by step system to teach anyone exactly what you need to look great in photos. It’s not just the ego boost of having a cute photo on Facebook, it’s critical that you have an array of photos that are on brand, look professional, and most important, easy to create better selfies to elevate your personal brand image whenever you need them, especially if you have an online presence. Taking selfies with your phone, computer or a self-portrait using your camera and a timer (how we took family pictures growing up) goes way beyond the cliché duck lips and sunken cheekbone shots. Once you understand the composition, light, intention, and a slew of other pro tips that can become second nature to an amateur, you’d be amazed at how not only easy it is to take your own photos. It’s like having your own best photographer at your disposal! No one is 100% symmetrical and everyone has one side that just looks a little better in photos. Models and actors know this, and some even have a stipulation in their contract that you can only shoot them from their better side. You don’t need to get that neurotic, but when the opportunity allows for it, angle yourself in your more flattering angle. If you’re not sure, no worries, just practice posing until you discover the side that looks better. Let’s face it, most people look pretty lousy when shot from under the chin. So if you don’t want to say hello to double chins, saggy necks, and nostril shots give yourself a little assist by shooting from a higher angle. If you are at a desk, simply stack some books under your elbow to raise your arm and the angle of your phone camera so your elbow is propped up. If you’re using your laptop, stack a set of books under it so the computer camera is higher. When you’re outside or on the go, simply raise your arm a bit so the camera is above eye level. Practice a few times and you’ll get the hang of it. You can always tell when a photo didn’t have a real stylist around or used a photographer who had zero knowledge about visual messaging and was just knocking out cheap headshots to pay the bills. The Internet has made it so that our headshots carry as much impact as a magazine cover. So, think of the composition and details that make for a strong magazine cover in your next photo! The attention should be on your face so you don’t want to distract with too many details, just the right ones. Be sure the neckline of your top is both flattering to your face shape and body type but also creates some visual interest. Be cautious of overdone hair or undone messy hair. Makeup should be better than natural but not overdone or goopy. Your jewelry should either be bold as a singular statement or barely there. The shoulder of your outfit will be the most obvious so be careful that it’s not too broad or flimsy. Lightweight layers can amplify your visual image in still shots. A little flourish like turning up your collar or flipping the cuff of your sleeve can go a long way in photos. 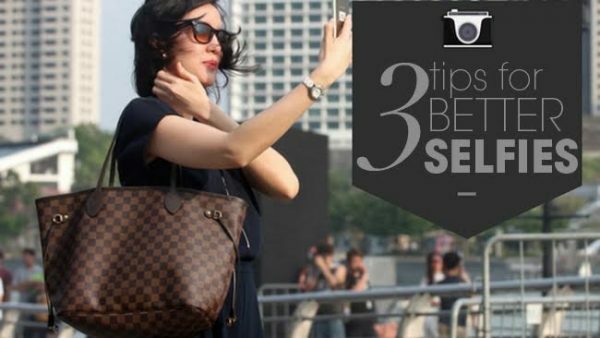 If you find value in these simple tips to take better selfies, you will be amazed at what you can master when you know exactly what you need to know to look better in photos! 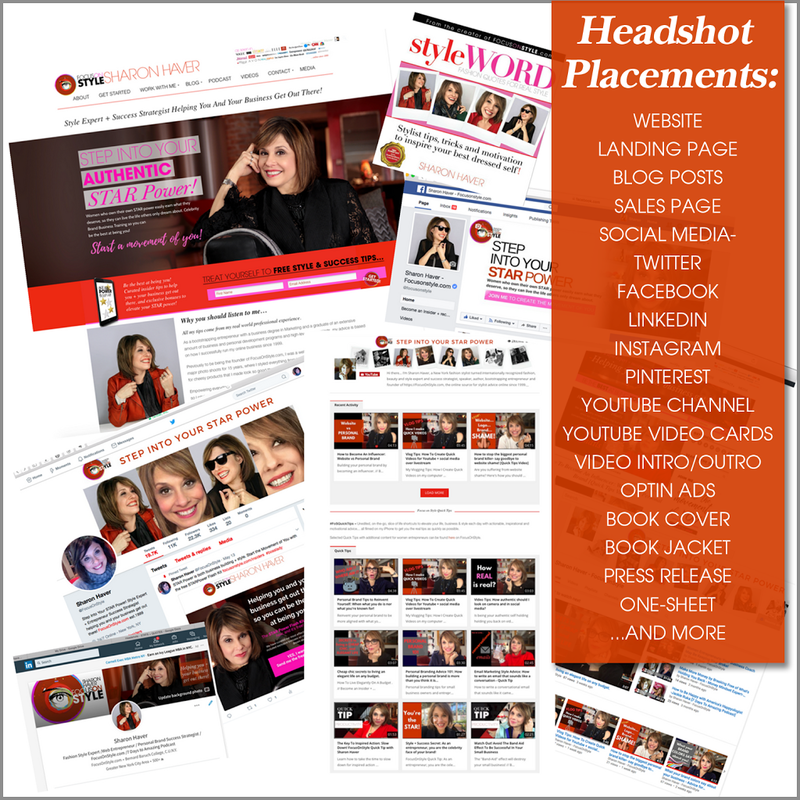 I invite you to take Simply Amazing Headshots so you can have the step by step video tutorials to guide you to look your best in photos every time…. it’s the secret ingredient to looking like a success!